This book is one of the things that popped up. 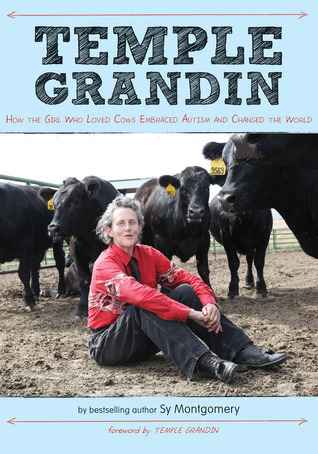 It was published last year and is a condensed and simplified account of Temple Grandin's life, geared toward children. Temple Grandin was born in 1947. Even before her first birthday, Temple's parents could tell she was not the same as other babies: she wouldn't make eye contact, she didn't laugh, she didn't want to be cuddled or held. In 1952, she was diagnosed with autism. At the time, autism was still a new and very misunderstood condition (Temple's mother was told that it was a type of schizophrenia, which it is not). Temple's father wanted to put her in a mental institution, but Temple's mother believed in greater things for her. Amazingly, even miraculously, Temple persisted through all kinds of challenges, both internally and externally, and emerged triumphant. She went to college where she earned not just a Bachelor's but also a Master's and PhD. She has done so much to improve the treatment of livestock animals and also to improve the face of autism. She is fast becoming one of my heroes. It's normal for a person with autism to be really focused and passionate about a select few topics. With Temple, it's animals. But it's also autism. She has written books on both subjects, lectured on both subjects, and researched both subjects. I am so impressed with the way she has divided her life between these two passions. From what I've read, it sounds like Temple was really the first autistic person to describe what autism is like. 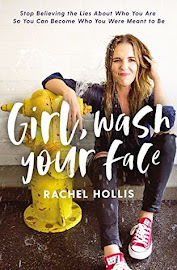 In speaking candidly and openly about all aspects of autism, she has really changed how people view it and respond to it. I just admire her so much for actively changing the world for the better. So...a bit more about Temple's animal passion: She loves them so much. Especially cattle. I'm guessing that even if you are an animal lover, a cow does not top your list of favorite animals. But for Temple, it does. And because of that, she has been able to overcome and improve major issues in the livestock industry that no one else deigned to pay attention to (but which were really important). 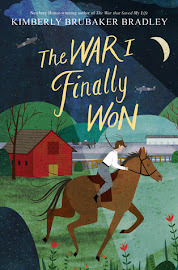 For much of the book, I was completely mystified why Temple Grandin (who loves animals so much she lies down amidst the cattle and lets them walk around her and touch her face) would devote much of her life to finding more humane ways to slaughter them? Wouldn't she want to stop the killing altogether? The answer is one of the reasons why I really love and respect Temple Grandin. Sure, she would love it if all people stopped eating meat . But the fact of the matter is that 95% of Americans do eat meat (according to the book) and probably aren't going to quit anytime soon. (I found it really interesting that even Temple eats meat--she tried to cut it out of her diet and really suffered with dizziness so had to add it back in.) Anyway, it sometimes seems like animal-rights activists have unrealistic expectations, but Temple looks at the current situation and thinks, How can we improve it NOW? What can we do to improve these animals' quality of life and give them a death that is free of fear and misery? (Incidentally, in recent years, Temple has become more vocal on the animal rights front, so she is striving to improve the lives of animals from all sides.) I thought that I might find all of the chapters dealing with Temple's feedlot designs a bit of a drag, but I actually found them fascinating...the author calls Temple's ability to "think like a cow" a sixth sense. Another thing I love about Temple Grandin is the way she views (and talks about) her autism in such a positive way. She recognizes all of the good she is able to do because of autism (like her sixth sense with animals I just mentioned). She even says that if she were given the choice of living her life over again without autism, she wouldn't do it. She says that autism is a part of who she is. With a condition that has so much negativism attached to it (because it does include so many hard and difficult symptoms), it was really eye-opening for me to recognize that Temple Grandin would not have been able to do so many amazing things if she hadn't had autism. On a personal note, this book came at a time when I really needed it. For the last 10 days, the boys and I have been visiting my family in Colorado. (Mike, meanwhile, has been attacking his dissertation with a vengeance.) My youngest brother, who is 12, has a condition known as reactive attachment disorder (RAD). Maybe you've heard of it. It manifests itself frequently in children who are adopted, in foster care, or neglected and abused early in life. My brother was adopted just before his second birthday. Anyway, there are times when he gets quite upset and irrational and becomes really angry and aggressive. He has had a couple of particularly bad episodes while we've been here. After the first one, I was reading this book and read about Temple's horrible tantrums as a child because of all the frustrations she was feeling and couldn't express any other way. Even though my brother is not autistic (although he does have significant developmental delays in addition to RAD), just reading about Temple's experiences changed my feelings of frustration and resentment into sympathy and tolerance. I was really grateful I read this when I did. If you are like me and just barely becoming acquainted with Temple Grandin, this book is an excellent introduction to her life. Or, if you're not in the mood to read, watch the movie. Either way, I guarantee you will be inspired by this amazing woman. I have heard of Temple Grandin, but I didn't know anything about her. So interesting! And I'm sorry to hear about your brother. It's hard to see family struggle, especially when you can't do anything about it. I'm glad you were able to understand him a bit better! I watched the HBO movie when it came out a couple years ago and just loved it! Clair Danes won an award for her performance (a Golden Globe I think) and the real Temple Grandin went up on the stage with her for a minute. She was so energetic and captivating. I'd love to learn more about her life. 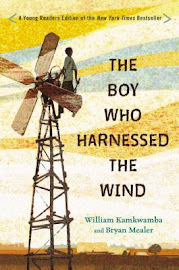 I also love that books sometimes come into our lives at the exact moment we need them. It's one of the joys of being a reader.